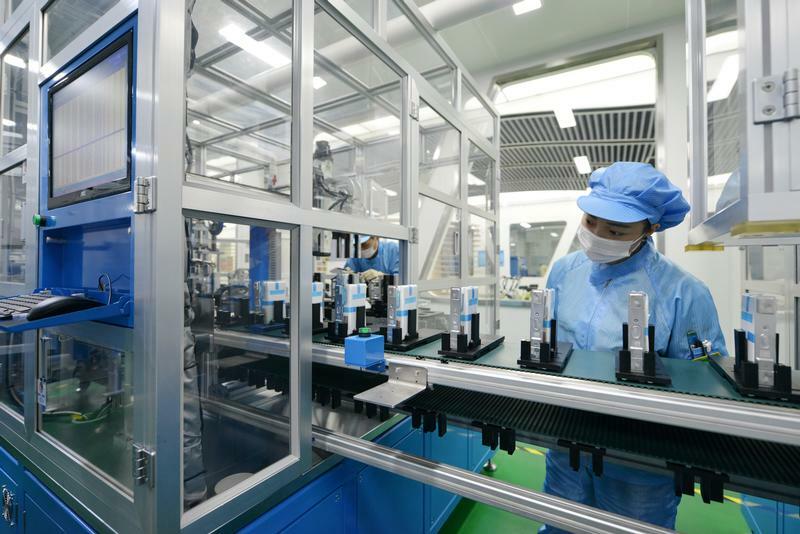 Workers are seen at the production line of lithium-ion batteries for electric vehicles (EV) at a factory in Huzhou, Zhejiang province, China August 28, 2018. An estimated $22 billion worth of metals will be extracted from electric vehicle batteries by 2028, according to research published by investment bank Berenberg in June. The number of electric vehicles on the road could rise to 125 million by 2030, up from 3 million in 2017, according to the International Energy Agency’s Global EV Outlook 2018 report. Last year, half of the world’s 1 million electric car sales were in China, the report said.